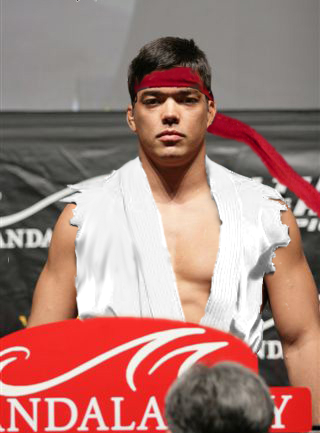 Lyoto "The Dragon" Machida's karate has been very successful for him in the UFC. The former champion will get a chance to regain the title when he takes on current champ Jon "Bones" Jones next month at UFC 140. Lyoto is one of the few karate practitioners to have big success in the UFC, and his techniques are always very interesting to watch. In these two instructional videos, Lyoto shows students of the game some intercepting attacks and other cool karate moves. Second vid after the jump.